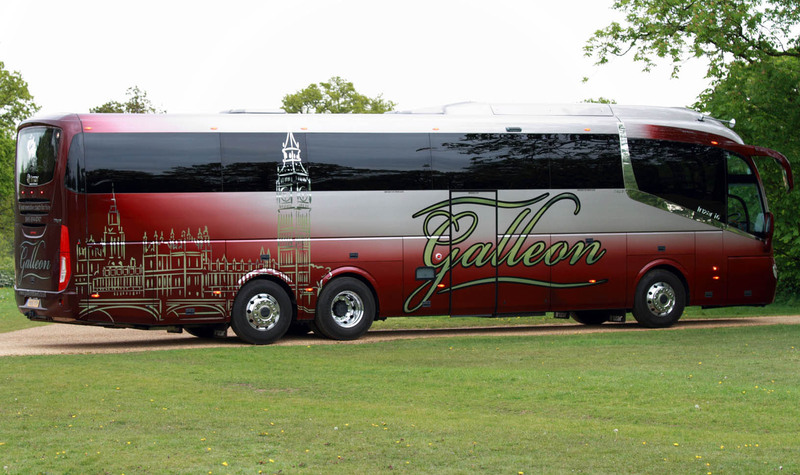 These booking terms and conditions govern all bookings that you make with Galleon Travel 2009 Ltd. Hailes Farm. Low Hill Road. Roydon.Essex. CM19 5JW They vary depending on whether you make a booking with us for a package holiday, accommodation only or other separate travel arrangements, ("Individual Components"). If you book Individual Components with us, we will make the booking as agent for the relevant supplier(s) (e.g. the ferry or hotel supplier) and your contract will be subject to the supplier's own terms and conditions which could limit or exclude liability to you, often in accordance with international conventions. Copies of the supplier's terms and the international conventions are available on request. 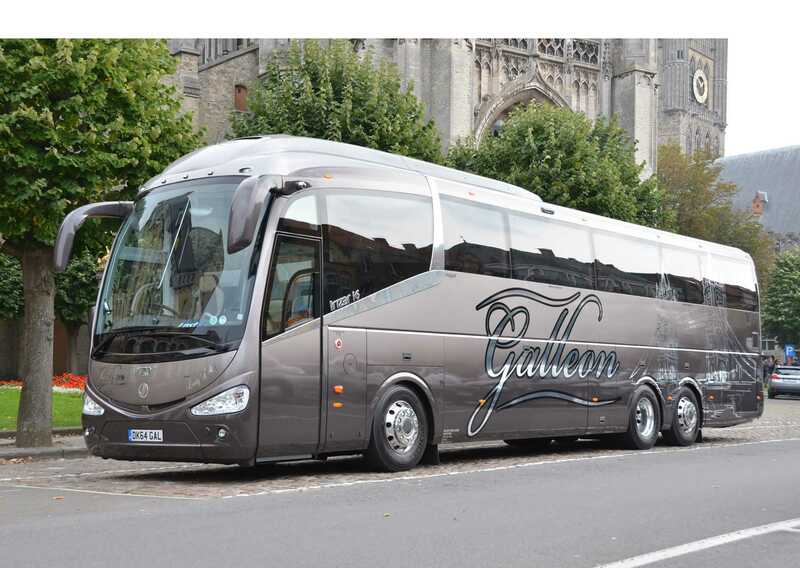 If you book a package holiday, your contract will be with Galleon Travel 2009 Ltd. Please see the terms which apply to package holiday contracts which follow these website agency terms and conditions. We take full responsibility for ensuring that proper security measures are in place to protect your information. We must pass the information on to the relevant suppliers of your travel arrangements such as hotels, transport companies, etc. The information may also be provided to security or credit checking companies, public authorities such as customs and immigration if required by them, or as required by law. If we accept your booking, we shall debit payment from you and send you a confirmation invoice. From this point cancellation charges will apply: Please note that a telephone booking confirmation is as firmly confirmed as if it were made/confirmed in writing. As soon as you receive the confirmation, please check the details carefully and inform us immediately if anything appears to be incorrect as it may not be possible to make changes later. You must pay the balance by the due date shown on the confirmation invoice. Please note for some telephone bookings full payment may be required IMMEDIATELY i.e. before you receive our confirmation invoice. If this applies you will be advised when the booking is made. It is very important that you pay balances when due because failure to do so may lead to the cancellation of your holiday and still leave you liable to pay cancellation charges. Where an extra "booking charge" applies this will have been advised at the time of booking. All credit/charge card payments are subject to a 3% surcharge. All cheque payments require 7 days to clear. Until full payment has been received the price of your booking may increase as a result of fuel or other surcharges which may be imposed by suppliers. Please note we do not accept responsibility for cash sent by courier or post, even if sent by registered or recorded delivery post or any other special delivery. Passport and Visa: You must consult the relevant Embassy or Consulate for this information. Requirements may change and you should check for up-to-date position in good time before booking/departure. We accept no liability if you are refused entry onto any country due to failure on your part to carry the correct passport, visa or other documents required. You must have a passport which is valid for six months after your intended date of return. You must ensure you have correct visa and health entry requirements for all countries visited including countries you may just be transiting through. . When you book with us, you accept responsibility for any damage or loss caused by you or any member of your party. Payment for any such damage or loss must be made at the time direct to the accommodation owner or manager or other supplier. If you fail to do so, you must indemnify us against any claims (including legal costs) subsequently made against us as a result of your actions. We expect all clients to have consideration for other people. If in our reasonable opinion or in the opinion of any other persons in authority you are behaving in such a way to cause or to be likely to cause distress, danger or annoyance to any third party or damage to property, we reserve the right to terminate your arrangements without notice. In this situation your total booking with us, including your return transportation arrangements, will immediately cease and we will not be responsible for paying any costs, expenses, refunds or compensation. If you wish to change any item - other than increasing the number of persons in your party - and providing we can accommodate the change, you will have to pay an Amendment Fee per person which will be notified at the time of change. If You and/or any member of your party may cancel your booking of Individual Components at any time, providing that the person who made the booking notifies us in writing. Since we incur costs in cancelling your arrangements we will charge cancellation fees based on the day your written cancellation is received and whether your tickets have been issued. If you incur any problems during your trip, it is essential that you bring them to the attention of the supplier and our agent or staff as soon as it occurs to give us a chance to investigate and rectify. if you cannot resolve your complaint locally please contact our office immediately on 0044 (0) 845 8944747. If the problem still cannot be rectified, you must contact us, in writing, within 28 days of your return. If you do not raise the matter during your trip, this will affect any later claim you may make. We reserve the right to increase or decrease brochure prices and to change any information in our brochures or on our website before a booking is made. You will be told the correct up to date price before you book. Once you choose a holiday & agree the price, please send a non-refundable deposit to confirm the booking. On acceptance of the deposit the Company will issue a confirmation invoice and at this stage contract comes into existence. Payment of the balance due must be made 8 weeks prior to departure. If the balance is not received by the due date, the Company reserves the right to cancel the booking and retain the deposit. If the booking is made within eight weeks of departure, full payment must be sent at the time of booking. Any money paid by the Client to a travel agent in respect of a booking with the Company, is held on behalf of the Company at all times. Changes in transportation costs, including the cost of fuel dues, taxes or fees chargeable for services such as landing taxes or embarkation or disembarkation fees at ports and exchange rates mean that the price of your travel arrangements may change after you have booked. However there will be no change within 30 days of your departure. We will absorb and you will not be charged for any increase equivalent to 2% of the price of your travel arrangements, which excludes insurance premiums and any amendment charges. You will be charged for the amount over and above that, plus an administration charge of £1.00 per person together with an amount to cover agents' commission. If this means that you have to pay an increase of more than 10% of the price of your travel arrangements, you will have the option of accepting a change to another holiday if we are able to offer one (if this is of equivalent or higher quality you will not have to pay more but if it is lower quality you will be refunded the difference in price), or cancelling and receiving a full refund of all monies paid, except for any amendment charges. We will consider an appropriate refund of insurance premiums paid if you can show that you are unable to transfer or reuse your policy. Should you decide to cancel for this reason, you must exercise your right to do so within 7 days from the issue date printed on your final invoice. If you wish to alter your arrangements after your booking has been made, we will do our best to arrange this and, if possible, make these changes. Any request for changes must be made in writing by the person who made the booking. We will charge an amendment fee of £15.00 per person, and any other cost we incur in making the alteration. If after the commencement of a tour the Client requests any amendments to the agreed arrangements, or accommodation, the Company and/or its agents will do their best to implement such amendments, but cannot guarantee that it will be possible. In the event of any amendment the Client will be liable for any cancellation charges and / or additional costs that may be incurred by the Company and/or its agents. If any person named on a booking is prevented from travelling as a result of illness, the death of a close relative, jury service or significant reason, we will agree to that person's booking being transferred to another person who satisfies all the conditions applicable to the package, subject to both persons accepting liability for full payment of the holiday cost and any additional costs arising from the transfer. This will also be subject to the agreement of our suppliers. We must be given at least 7 days written notice of the transfer request. An administration charge will be made of £25 per person for transfers made more than 61 days before departure. It is unlikely that we will have to make any changes to your travel arrangements but we reserve the right to do so at any time. We plan arrangements a long time in advance of your holiday using independent suppliers such as ferries and hotels, over whom we have no direct control. Most of these changes are minor and we will advise you or your travel agent as soon as we are able. If we make a major change we will also endeavor to advise you or your travel agent as soon as reasonably possible. In the case of a major change before your departure we will provide you with three alternatives: alternative travel arrangements of equivalent or of very closely similar standard and price, if available. Alternative travel arrangements of a lower standard together with a refund of the difference in price; or cancel your holiday with a full refund of all monies paid. We will not be liable to pay any compensation if we are forced to cancel or in any way change your holiday as a result of unusual or unforeseeable situations outside our control, the consequences of which could not have been avoided even with all due care. These include unavoidable technical problems with transport, changes imposed by rescheduling or cancellation of flights by an airline or main charterer, the alteration of the airline or aircraft type, war or threat of war, civil strife, disputes, natural disaster, bad weather, epidemic or terrorist activity. Hotels described as First Class or Luxury are deemed so by us and not necessarily by any official grading. The assessment is based on our knowledge of the establishment, our general opinion and the standard of what is available locally. The term used i.e. deluxe, luxury suites etc are the same as those by the hotel in question. The Company does not own, manage or control the accommodation that it uses. Sometimes it is possible that the accommodation reserved is not available. In this event the Company and/or its agent will endeavor to provide accommodation of equal standard. However, if only accommodation of lesser standard is available we will refund the difference in prices on completion of the holiday. We reserve the right to cancel your holiday for any reason. However we will not cancel your holiday less than 2 weeks prior to departure unless it is for a reason outside our control. If we have to cancel your holiday we will offer you alternative travel arrangements of equivalent or of very closely similar standard and price, if available travel arrangements of a lower standard and a refund of the difference in price; or a full refund of all monies paid. Protocol of 1955 and by any of the Montreal Additional Protocol of 1975); in respect of carriage by sea, the Athens Convention 1974; in respect of rail carriage, the Berne Convention 1961; and, in respect of carriage by road, the Geneva Convention 1973. The terms of these conventions are incorporated into and form part of your contract with us. The liability of an air carrier under the Montreal Convention and the Warsaw Convention is limited to damage sustained in the case of death or bodily injury caused by an accident which takes place on board the aircraft or in the course of any of the operations of embarking or disembarking. You can get copies of the relevant conventions if you ask us for them. These conventions may limit or remove the carrier's liability to you and the amount which the carrier has to pay you. The carrier will rely upon its 'conditions of carriage' which may limit or remove the carrier's liability to you and limit compensation under international conventions. Under EU law you have rights in some circumstances to refunds and/or compensation from your airline in cases of denied boarding, cancellation or delay to flights. Full details of these rights will be publicised at EU airports and will also be available from airlines. However this will not automatically entitle you to a refund of your holiday cost from us. It is a condition of travel that you have adequate travel insurance for the holiday for you and your party. The insurance cover must include cancellation charges, unexpected curtailment of your holiday, medical and repatriation expenses including air ambulance, personal accident, delay loss or damage to your personal effects. All passengers must wear seatbelts at all times. A coach toilet is only to be used in an emergency and as a last resort, Children under the age of 13 years must be supervised by an adult. Coaches make regular comfort stops. Only food & drinks purchased on board coaches can be consumed on board. On board facilities such as microwave ovens, fridges and hot drinks dispensers can only be used and operated by company staff. Personal items of food cannot be stored in coach fridges or heated in coach microwaves. Coach Innovation will not be held responsible for finantual loss resulting in late departure / arrivals. 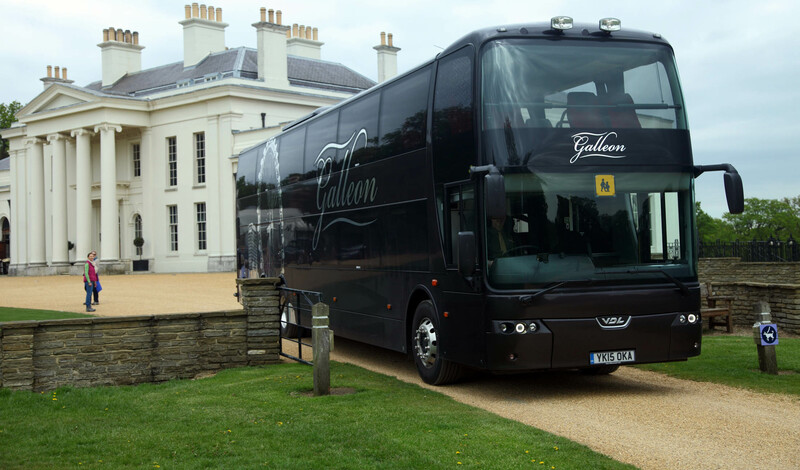 Coach Innovations retain the right to hire or operate vehicles from 3rd parties. If you have a complaint during your holiday, please bring it to the attention of our local Representative / Agent / and or the hotel as quickly as possible, so that they can attempt to rectify the matter on spot. If you cannot resolve your complaint locally please contact our office immediately on 0044 (0)1562 743138. If we still cannot resolve your complaint then you must write to us within 28 days of the end of your tour. Failure to bring a complaint to the attention of our local representative whilst on holiday will prejudice any future claim.